In this year’s local elections, voters in five English council areas were asked to do something unfamiliar to voters in Britain. Something that appears fairly uncontentious on the face of it, but that could nonetheless have a significant impact on equality of access and electoral outcomes. These councils were piloting a government proposal to introduce voter ID in polling stations. In two of the pilot areas, voters were required to bring photographic ID such as a passport or driving license. Stricter forms of identification like driving licences and passports are costly and not inclusive (around 3.5 million citizens do not have photo ID and around 11 million do not have a passport or driving licence according to the Electoral Commission). Unlike other European countries, Britain does not currently have universal free ID. Putting a strict ID requirement before voting could therefore have a discriminatory effect. Given the possible impact of voter ID requirements on democratic access, it is important to understand both why these measures are being introduced and the risks involved. Our new report analyses the voter ID pilots and wider issues of electoral integrity, looking at where the vulnerabilities in our system exist and what can be learnt from the pilots. First it is important to be clear on the type of fraud voter ID is meant to fix. Voter ID is a measure aimed at personation fraud; the type of fraud where a person goes into a polling station pretending to be someone else. Though frequently conflated with other issues, voter ID in polling stations does not deal directly with issues around postal voting, double voting, or false registrations. As it stands there is little evidence of personation fraud being a problem in British elections. In 2017 there was just one conviction for personation fraud and just 28 allegations. This, in a year with both a general election and local elections across England, Scotland and Wales (some 44.4 million votes cast). 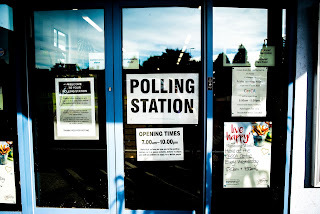 What’s more, as the largest electoral integrity survey in the UK, run by Toby James and Alistair Clark, has recently shown, staff in polling stations are not themselves concerned about personation fraud. The most recent round of data from this survey finds that 99 per cent of respondents didn’t suspect that fraud had taken place in their polling station. More frequently raised concerns related to registration and access issues. Our polling suggests that voters aren’t that worried either. Out of a range of potential electoral integrity issues, concerns about bias in the media, political donations and registration, rank far higher than securing people’s identity at the polling station. If the aim of this policy is to improve voters’ confidence in the integrity of our elections, it might be wise to target policies elsewhere. The limited evidence to support the need for this change in the way we vote is of particular concern given its potential consequences. As the pilots of voter ID have shown, a discriminatory effect hasn’t been ruled out. The Electoral Commission’s analysis of the pilots concluded that “there is not yet enough evidence to fully address concerns and answer questions about the impact of identification requirements on voters”. This is unsurprising as the five council areas that agreed to trial voter ID were not representative of the full diversity of the UK. That the sample lacked a major city or inner-city area was certainly a problem for testing the expected effects of the policy. But there are other issues with the pilots and what they are able to tell us about the effects of voter ID. Research analysing the pilots by Livia Testa and Susan Banducci at Exeter University finds amongst other things, higher party contact in the pilot areas. A factor that would be expected to increase the salience and knowledge of the elections amongst voters. Coupled with a significant advertising spend in the pilot areas, this casts doubt on whether recorded turnout in the pilot areas can say anything about the effect of this requirement on participation. Legislation doesn’t allow for pilots to be held in general elections, so it is impossible to test the effect this could have if rolled out nationally. What we do know is that there were thirteen constituencies in last year’s general election won by majorities smaller than the number of voters unable to vote in the Bromley pilot alone. The potential for this policy to influence electoral outcomes is clear. Knowing that elections are fair and secure is vitally important, as is ensuring that voters feel confident in the results. But questions remain both about the extent of personation fraud and the unintended consequences of targeting it in this way. The government is now seeking more councils to pilot these measures next year. It would surely be better to try to establish what the problem is first before heading further towards a solution.